For many people, writing is one of the best ways to increase clarity about your true feelings about different life and career choices. This article explores how to use journaling to make decisions that are aligned with your values, interests, and goals. I also recommend keeping the journal so that if you question yourself later, you can go back and read the reasons you chose the path you did. This can reinforce your original decision or cause you to re-evaluate if something changes. If you were using a quantitative decision-making approach, you might use a decision-making matrix, but journaling is different. I like both ways of making decisions as they complement each other. For major career and life decisions, it can be useful to use multiple decision-making methods and then compare the results. 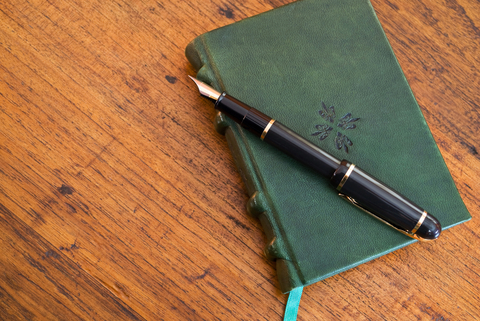 The act of journaling often surprises my clients when they find themselves writing something that feels clear and true that they didn’t realize about themselves until they read their writing. Some people are intimidated by the word “journal” because it sounds ambitious, but in reality, journaling is just writing what comes into your head about any specific topic. When you journal, you should try not to worry about eloquence, grammar, or anything else that gets in the way of feeling free to document your thoughts and emotions. There are purists who insist you handwrite your journal. I am not one of them because I type faster than I can write and I use Evernote for everything. There aren’t any hard and fast rules about how you do this. The test of effectiveness is whether it works for you. For example, career counselors hear a lot of fantasies about winning the lottery. If you find yourself daydreaming about the lottery, go ahead and put, “Win lottery,” as a “Wish List” path, but then also research the odds of the specific game you play. I live in Texas and the odds of winning the Texas Lotto are currently 1 in 25,827,165. It helps to type that out and then take back the energy that might go into counting on the lotto as a financial plan. – What is your first emotional reaction to this choice? – What part of this choice sparks joy for you? – What part of this choice causes you anxiety? – Describe the ways in which this path would or would not feel aligned with the person you want to be? – Do you feel energized or drained by the thought of pursuing this choice? – What information do you need to have to either move forward with this choice or let it go? – Are you surprised by anything you wrote? – Do you feel drawn to a commitment to one of the options, or do you prefer to simultaneously pursue more than one and re-evaluate again at a later time? If you have journaled about a decision before and you are willing to share your experience, please comment below. Janet, thank you for writing this! Those prompts provoke a lot of immediate response in me! When I think about those questions, I imagine they will reveal a very different path than what I have been feeling pushed to pursue. Lots of food for thought… Need to start (get back to) journaling!